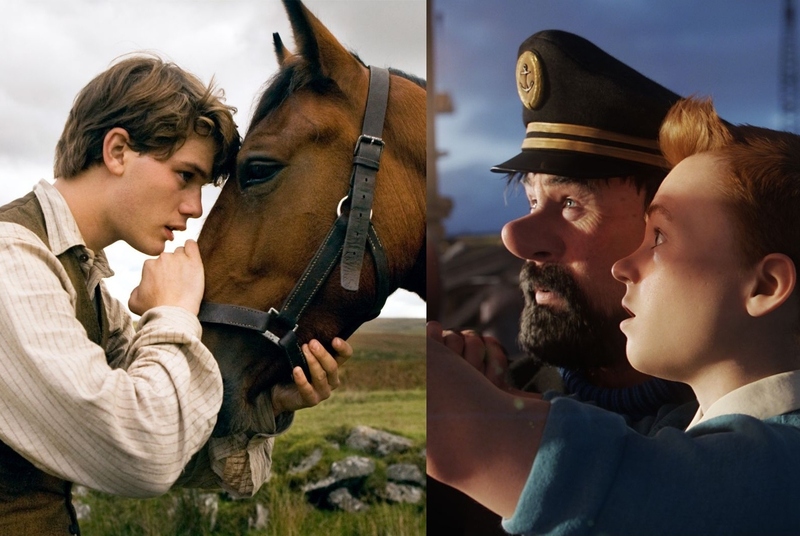 As is typical with Spielberg, both films should be seen on the biggest screen possible, but while "War Horse" is an almost certain Oscar nominee (which it basically seems tailor made to be), "Tintin" is far and away the better film. It harkens back to the good old days of high adventure and reintroduces us to the Spielberg we all know and love, whereas "War Horse" seems to be every problem I've ever had with a Spielberg film wrapped into one gooey package. Click here to read my full reviews. I found TIN TIN bland and intolerable, while WAR HORSE was a sweeping emotional epic based on a great Tony Award winning play that served as the source for of the true masterpieces in Spielberg's career. But fair enough, I understand you are not in agreement on this assertion. We can't always agree. Ha!